Cook Beyond Burger per package directions. If desired, toast burger buns quickly over a hot grill. While the burgers are still hot, begin assembly by smearing a liberal amount of Mexican Goddess onto the top and bottom of each bun. 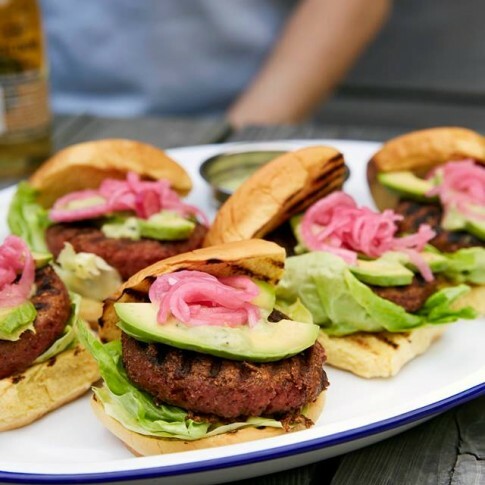 Place burgers onto the bottom half of each bun and top each with: 1 piece of bibb lettuce, ¼ sliced avocado, and 1 tablespoon of pickled red onion.